She is an Indian social activist and educator. She is the face of Indian education empowerment for under-privileged children. She graduated with a BA degree in Sociology from St. Xavier's College, University of Mumbai and later obtained a Masters in Education from the University of Manchester. She at the age of 18, founded Akanksha Foundation – a non-profit organization with a mission to impact the lives of less privileged children, enabling them to maximize their potential and change their lives. Over the past 23 years, the organization has expanded from 15 children in one centre in 1989 to over 3,500 children across Mumbai and Pune, and has 58 centers and 6 schools in Mumbai and Pune. Before launching the Akanksha Foundation, her interest in children's education led her to volunteer as a teacher in diverse organizations in Mumbai, such as the Happy Home and School for the Blind and the E.A.R. school for the Hearing Impaired. 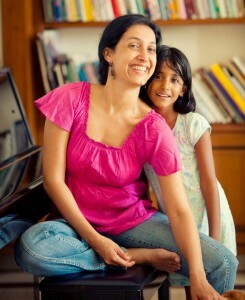 Currently, she is the CEO and one of the founding Board Members of Teach for India since 2008. Now leads the nationwide movement with the mission to build a movement of leaders who will eliminate inequity in education. She has grown the movement to 217 Fellows teaching in over 60 schools in Mumbai and Pune and impacting the lives of almost 7000 children. She is an Ashoka Fellow (2001), recipient of the Indo-American Society’s Young Achiever Award (2001), a Global Leader for Tomorrow at the World Economic Forum (2002), an Archana Trust Woman Achiever (2003), an Asia Society 21 Leader (2006) and serves on the boards of Ummeed, The Thermax Social Initiatives Foundation and is an advisor to the Latika Roy Foundation. With more than 23 years of experience in education field, let’s hear it from the Lady herself, what is Education in India all about!! awsome Viplav dances with Shalu and Raja. Just sketch artiste comes there holding Dhaani’s design Ishq Ka Rang Safed online She claims she's sure that she will be supported by Viplav. nice.